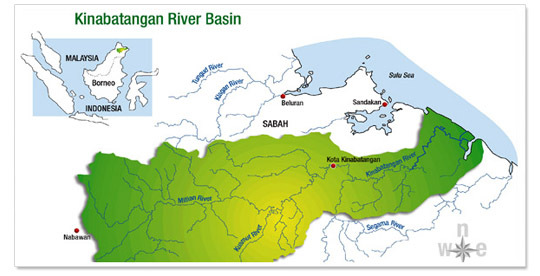 The Kinabatangan River is located in the Sabah region of East Malaysia on Borneo island. 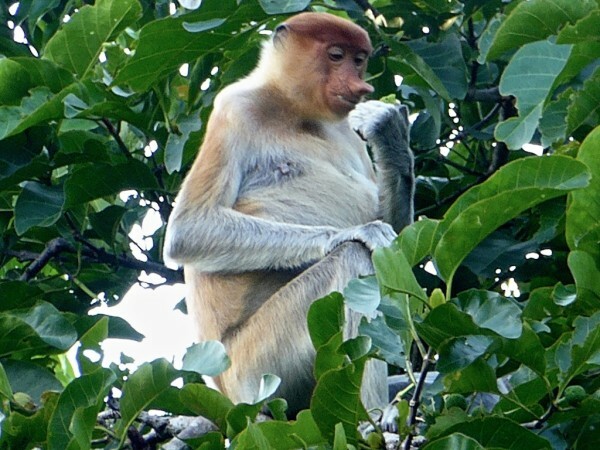 It is the second longest river in Malaysia and a popular destination to experience the surrounding rainforest and see some incredible animals in their natural habitat, like the orang-utans, pygmy elephants, proboscis monkeys and many more. 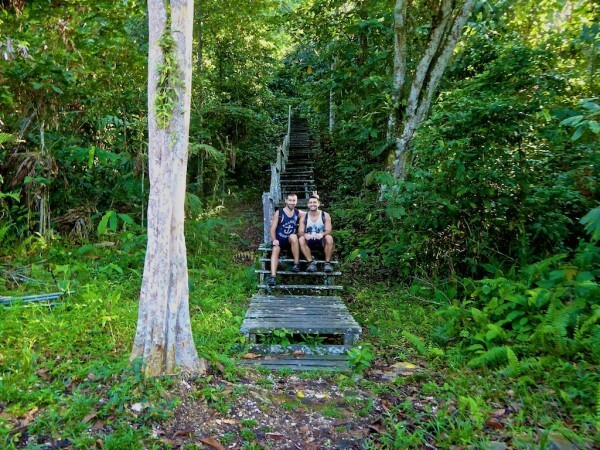 We based ourselves at the excellent and gay friendly Last Frontier Boutique Resort in Bilit village, located almost 100m above sea level, in the heart of the rainforest. The Last Frontier is the brainchild of power duo Jason (from Malaysia) and Gert (from Belgium) who spent almost 2 years building it from scratch. 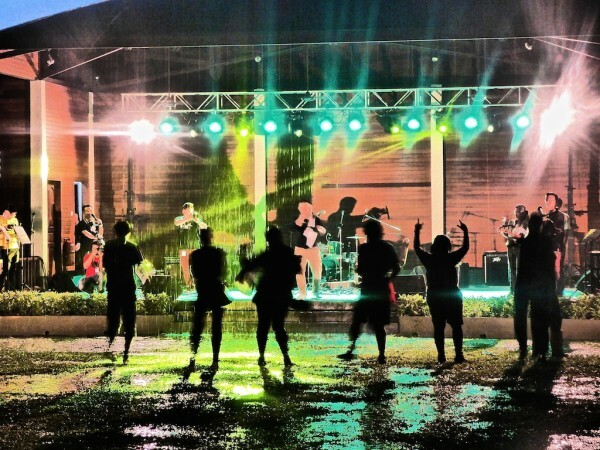 It was opened in 2008 and has been going strong since, offering one of the most cost effective packages (room, full board and river/jungle tours) from all the accommodation options we researched around the Kinabatangan River area. Jason and Gert are both extremely passionate about the rainforest and taught us a great deal about the wildlife and the catastrophic effects from the growing logging and palm oil industries. 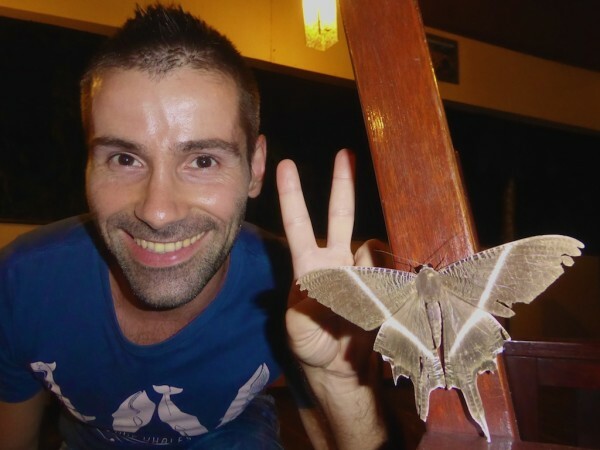 Jason is also one of the co-organisers of the annual summer Wildlife Festival at the Rainforest Discovery Centre in Sepilok, called “Rhythms of Rimba”, which aims to raise awareness and unite people passionate about conserving the biodiversity of the rainforest. 538 STAIRS? ARE YOU CRAZY??!! Yes we are and this was one of the best things about it! 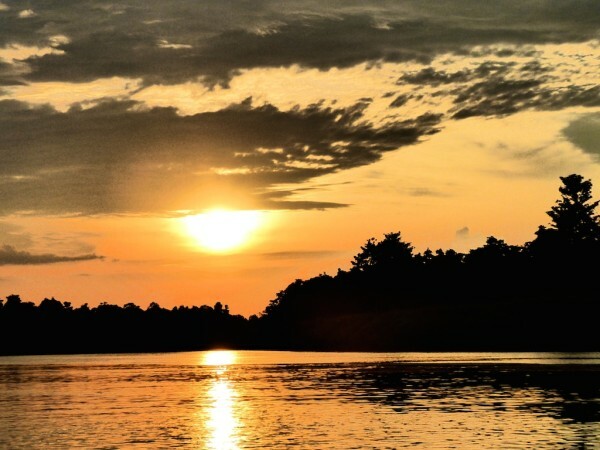 The Last Frontier is unique because it is located at the top of a hill, unlike all the other resorts, which are squashed together by the Kinabatangan River. 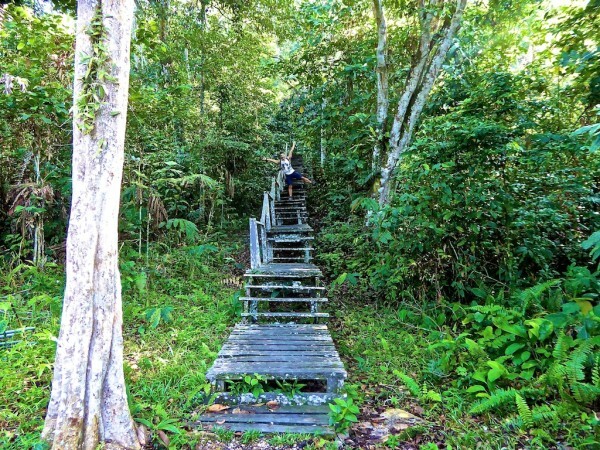 So yes there's 538 stairs to keep you fit, but the rewarding views at the top make it all worthwhile and it means you are completely isolated from everyone and everything, right in the heart of the rainforest. Prior to our visit to The Last Frontier Resort, we saw orphaned orang-utans at the nearby Sepilok Orang-Utan Rehabilitation Centre, who’d been rescued and rehabilitated so that they could be released back into the wild. 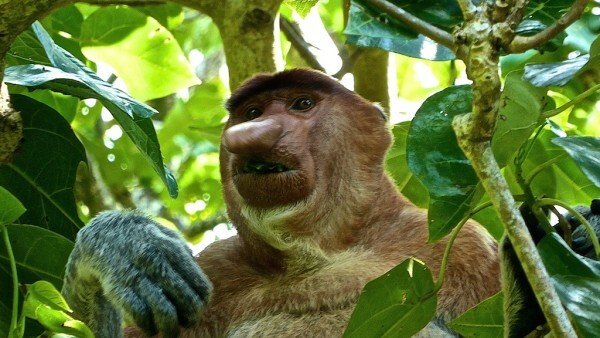 In the rainforest surrounding The Last Frontier, there’s many orang-utans living peacefully in the wild. 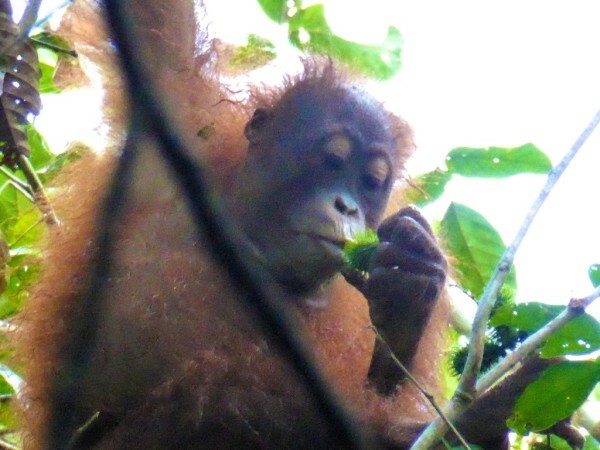 On one glorious morning, we met Olivia the Orang-Utan, who was munching away at the rambutans in the trees. Olivia looked down at us staring up at her, dropped the rambutan shells on our heads and then moved on as if nothing had happened. It was incredible to see orang-utans in their natural habitat in the wild in the rainforest around the Kinabatangan River after seeing them at the Rehabilitation Centre in Sepilok. 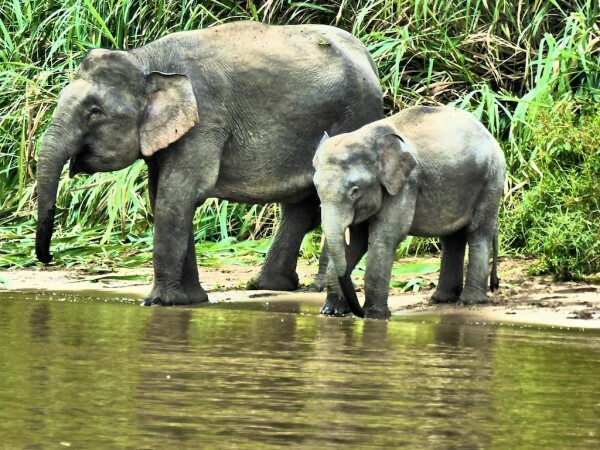 On one of our boat tours on the Kinabatangan river, we stumbled upon Esmerelda the Pygmy Elephant and her family grazing on the river bank. 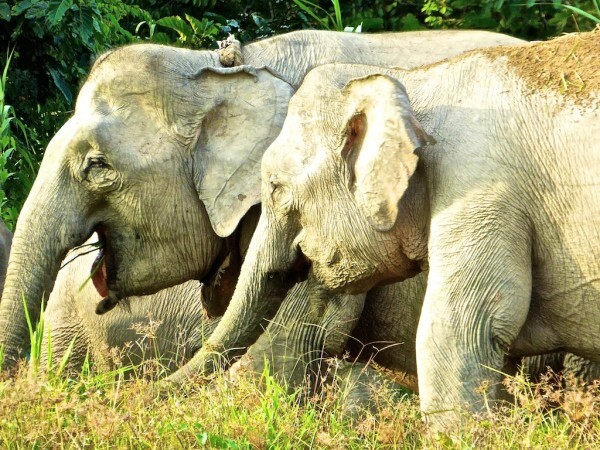 The pygmy elephants are smaller than their African cousins and similar to other Asian elephants, like the ones we saw during our safari at the Udawalawe National Park in Sri Lanka. Want to know what makes Esmeralda and her family even more adorable? They’re excellent swimmers and unlike the orang-utans, can just swim their way to cross the Kinabatangan River. Olivia has to find a crossing to climb across. Patricia’s male counterparts on the other hand have much larger noses that hang lower than the mouth and can measure up to 10cm! 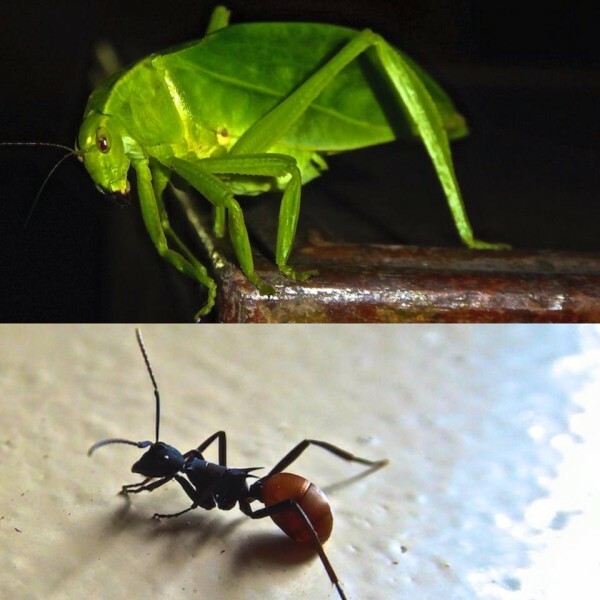 There are a variety of bugs who seem like they’ve taken steroids. AND DID WE MENTION THE AMAZING FOOD? 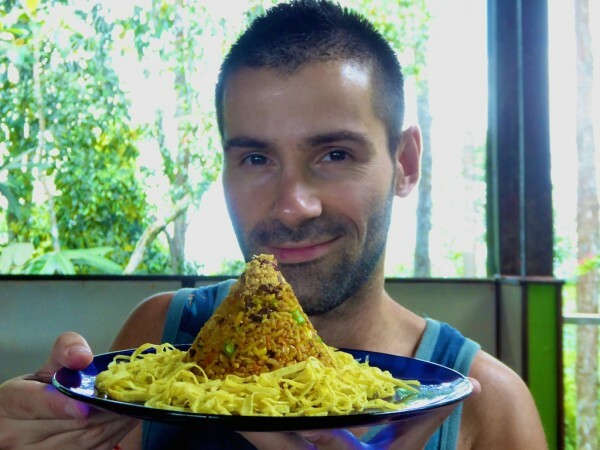 We were really impressed with the high quality of the food, particularly when you take into account that they have to carry everything up 538 steps, in the heart of the rainforest, which is a 2 hours drive away from the nearest town. We loved our time at the Kinabatangan River with The Last Frontier team and definitely recommend a visit to anyone travelling in Sabah. For more about The Last Frontier and the surrounding rainforest and wildlife, check out their awesome video by clicking here. I’m absolutely in love! 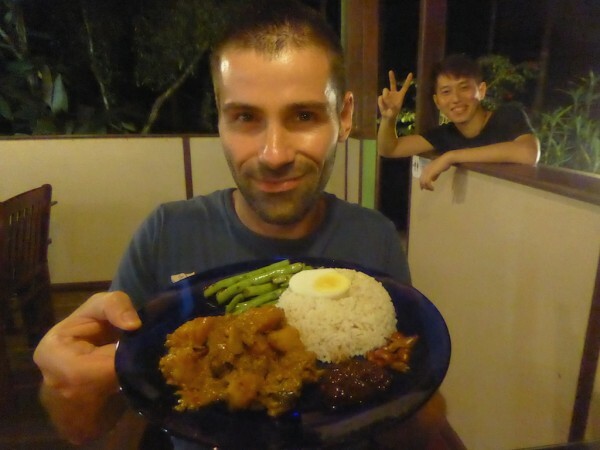 Missing Borneo was my only regret last time I did South East Asia. Not making the same mistake this time. 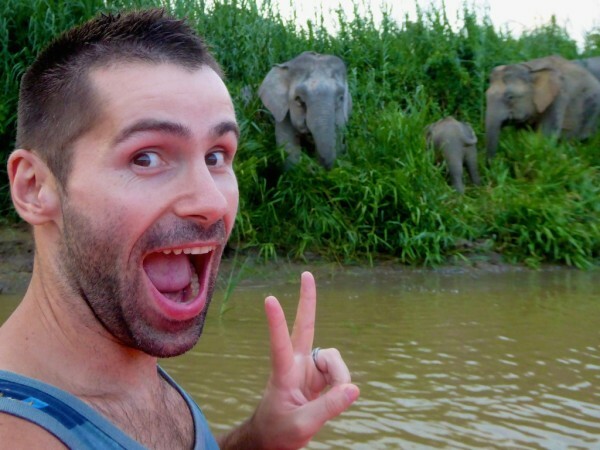 See you at Tbex ? Orangutans!! So cool! 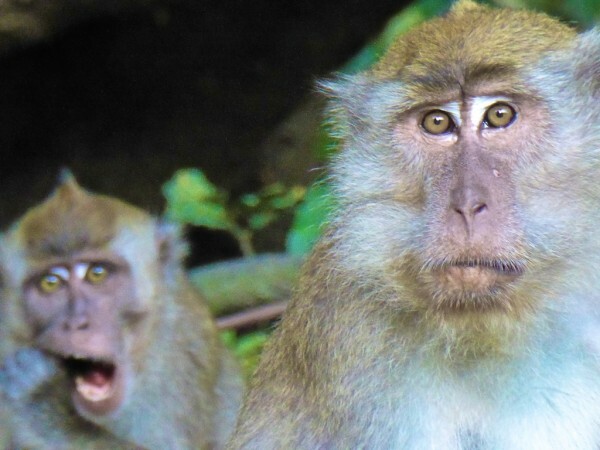 We really wanted to make it to Borneo when we were in Malaysia a few years ago. It didn’t happen, but we will definitely have to check out the last frontier if we do ever make it there! 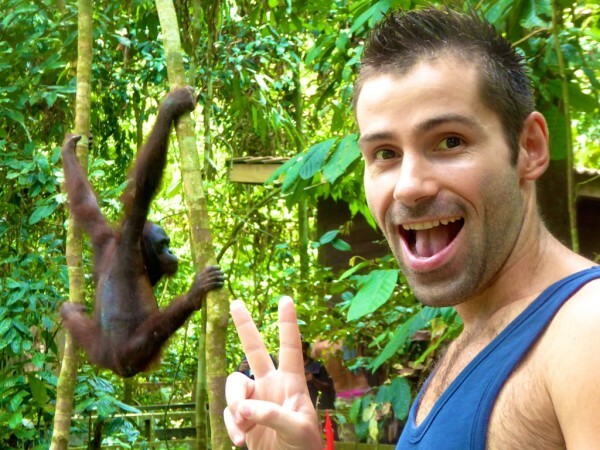 Wow, you guys were so lucky to see so many animals, especially the orangutans – I am so jealous of that! 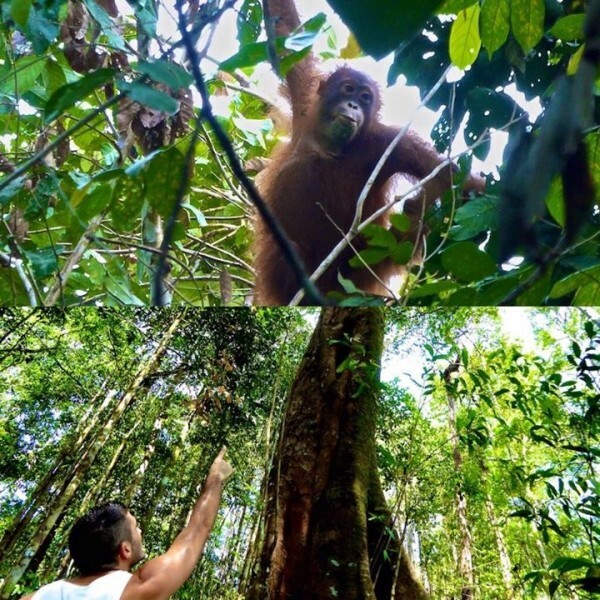 As I think we told you, we spent all our time in Borneo searching for wild orangutans, including on the Kinabatangan river and we had no luck 🙁 I’m glad you managed to find some though and as always, it looks like you had a great time. We hope to go back to Malaysia one day. We were thinking about you guys here. Did you not see them at the Sepilok rehab centres at feeding time?